As Thanksgiving is nearly here and Christmas is around the corner, it is safe to say the holiday season is upon us. Unless your family enjoys a nice Chinese takeout meal for Christmas, you plan on cooking and entertaining in your kitchen. Life happens and trends change, making a kitchen renovation necessary from time to time. To keep money in your billfold for Thanksgiving and Christmas, rather than expensive renovations, we have compiled these tips to keep your kitchen renovation inexpensive. 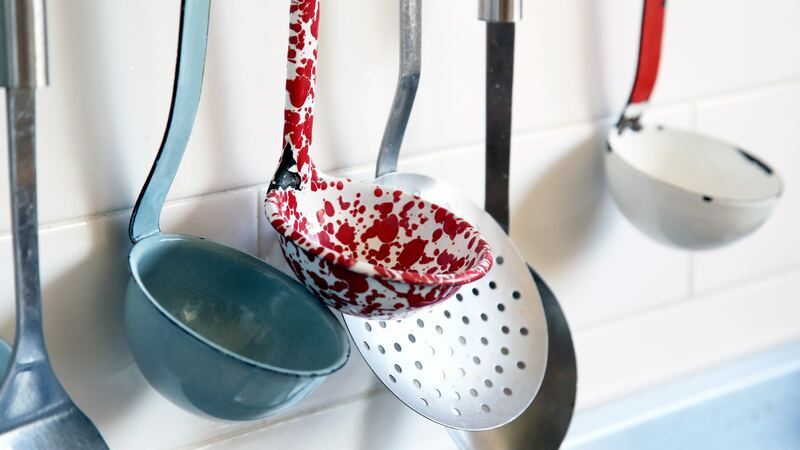 You would be surprised what a new coat of paint can do for the various portions of your kitchen. Is the island starting to look brown instead of black? Consider painting it a bold color to really make it pop. Are the handles and knobs of your cabinets looking worn and weathered? An easy way to update the kitchen, without costing a fortune, is to replace those handles or knobs with new ones. You can get your run of the mill knobs from your local hardware store for a few dollars, or if you want to have a bit more fun with handles and knobs, visit your local Hobby Lobby or other craft store. While the light is great 95 percent of the time, it has probably dulled the color of your cabinets. Consider restaining your cabinets to give them a fresh color and make them look nearly new. Is your kitchen not receiving as much light as you want? Consider buying a small light kit from IKEA or other furniture places to easily install. This method is much cheaper than changing out the electrical wiring or the pre-existing lighting fixtures. Consider making a drape out of a fun apron, shower curtain or plain fabric. There are numerous tutorials on Pinterest and YouTube that can teach you how to make an expensive drape, both with and without sewing. This not only limits the light, but gives you more control over the color and theme of your kitchen. Sometimes changing things up is as simple as hanging things on the wall. Consider hanging your ladles and spoons from a rack under the cabinets, or adorn your walls with frames filled with your favorite pictures and quotes. Changing the existing decor might delay the renovations for another day or season. With the help of these tips, you can make your kitchen look completely different for a much more manageable cost. Considering selling your house? Contact us and we can set up a time to meet!